Caroline Wozniacki and David Lee are engaged. Tennis superstar Caroline Wozniacki is officially off the market. 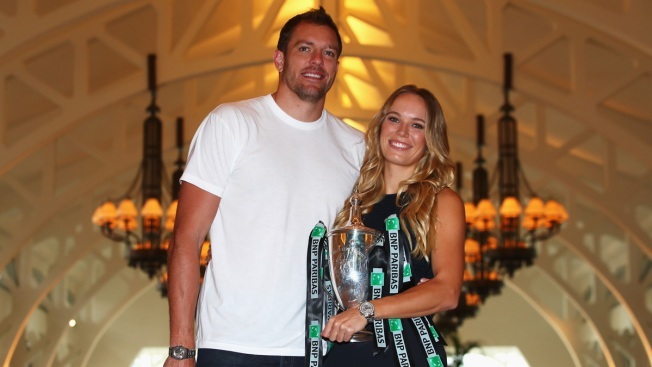 The 27-year-old announced her engagement to her NBA boyfriend David Lee. The couple have been dating for eight months. Wozniacki posted an image of the ring from the former Knicks forward on Twitter. “Happiest day of my life yesterday saying yes to my soulmate” read Wozniacki’s tweet. Both were on vacation in Bora Bora, French Polynesia when Lee popped the question. Wozniacki was previously engaged to golf pro Rory Mcllory. That relationship ended in spectacular fashion with Mcllory breaking up with the tennis star shortlyafter wedding invitations had been mailed. Lee, who formerly played for the New York Knicks among other teams, is currently a free agent.